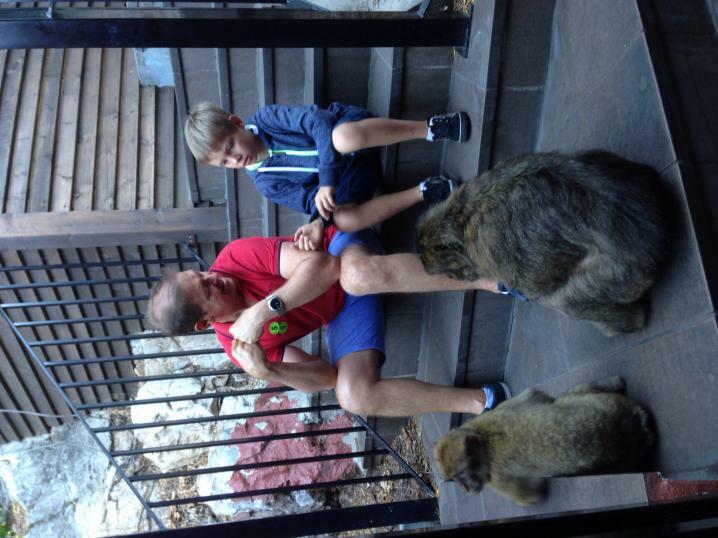 Today we saw some monkeys on the rock of Gibraltar. I went to the cave inside the rock of Gibraltar. It was really cool. There were lights inside that kept changing colours. It was awesome. The monkeys were funny. One grown up monkey hit a baby monkey. The Mummy monkey picked up the baby monkey but didn't do anything else. We saw our cruise ship from the top of the rock. I played with a BIG canon. We had to get up really early. We saw a monkey eating some bread that he stole off the bus driver. I loved Gibraltar. I want to go back!